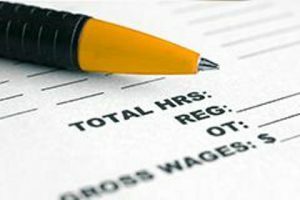 On November 22 a federal district court judge in the Eastern District of Texas issued a nationwide injunction against the implementation of the new Department of Labor (DOL) overtime rules. The regulation was scheduled to take effect just days from now, on December 1. The ruling, by Judge Amos L. Mazzant III, states that the Obama administration exceeded its authority by raising the salary limit as significantly as it did—the new rules raise the salary floor for an employee who meets the duties test for the most common overtime exemptions from $23,660 to $47,476. The change had been hailed by worker advocates who questioned exempting workers at or near federal poverty levels from overtime, and simultaneously criticized by small business advocates who feared small businesses could not bear the costs and would respond by out-sourcing labor or converting full time jobs to part time. While employers have a reprieve from complying with the rule, this is not a repeal. Employers and the CPAs who advise them should take note of one important factor. The focus of this decision was on the magnitude of the increase the new rule imposed—not on the question of whether any increase would be appropriate. Therefore, it is entirely possible that there could ultimately be a determination that an increase of a lesser amount, or a phased-in approach, would be appropriate, putting the rule back on a course toward implementation. Employers who have already engaged in analysis of their roles to determine employees who meet the duties test should consider this time well spent. By keeping a record of which positions would be affected by any increase in the salary floor, and noting current salary levels, these employers can be ready to implement a rule change whenever it comes down and at whatever salary level. Employers who have not started or have not completed this process would be well advised to regard the current injunction as bonus time to complete the process rather than reason to abandon it. At worst, if the new rule is never implemented, the workforce will have a complete and current audit of role compliance against the DOL duties test (which no one has proposed changing). At best, if the rule is implemented at the current proposed salary floor or an intermediate or phased level, the workplace will be armed with the information needed to comply immediately.